65 years of innovation and great sound. Let’s jump back to 1954. A lot of great things happened that year: From Here to Eternity wins an Academy Award®, Ernest Hemingway wins a Nobel Prize for Literature, Elvis Presley has his first commercial recording session … and the debut audio product from Yamaha introduces the world to Hi-Fi. 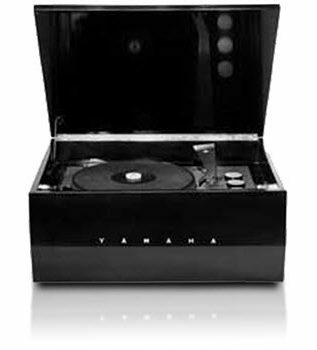 Yes, that’s right: Hi-Fi (short for “High Fidelity”) began with Yamaha. The company’s HiFi Player — one of the first stereo record players and the first ever audio component bearing the “Hi-Fi” name — started it all. From the most demanding audiophiles to those who just appreciate great music and sound, Hi-Fi components represent the best way to enjoy music and sound reproduction. Let’s take a look at how far we’ve come in the world of Hi-Fi and explore the link of tradition and tomorrow. Prior to 1954, consumer audio components were mostly of lower quality and inferior sound, playing back 78 or 33⅓ rpm records or reel-to-reel tapes. Bell Labs and other companies had begun experimenting with various recording techniques in the 1930s, and some multitrack recordings (that is, recordings done on multiple tracks at once) were made on optical sound film in the early 1940s. Reel-to-reel recordings made by artists for consumer distribution began in around 1948, as well as the first introduction of FM radio, which offered a signal with wider bandwidth than AM radio. After the introduction of the HiFi Player in 1954, and as recording quality began to improve with a fuller frequency range, audio consumers came to realize that separate components such as radio tuners, preamplifiers, power amplifiers, turntables and loudspeakers could deliver a better listening experience than integrated products. The term “Hi-Fi” soon became synonymous with componentry designed to deliver accurate sound reproduction. The new playback equipment resulted in an increased need for better-sounding speakers, and once again Yamaha was ready to meet the challenge. In 1967, the company released their first Hi-Fi speakers: the NS-20 and NS-30, each configured identically (apart from differing cabinet size). 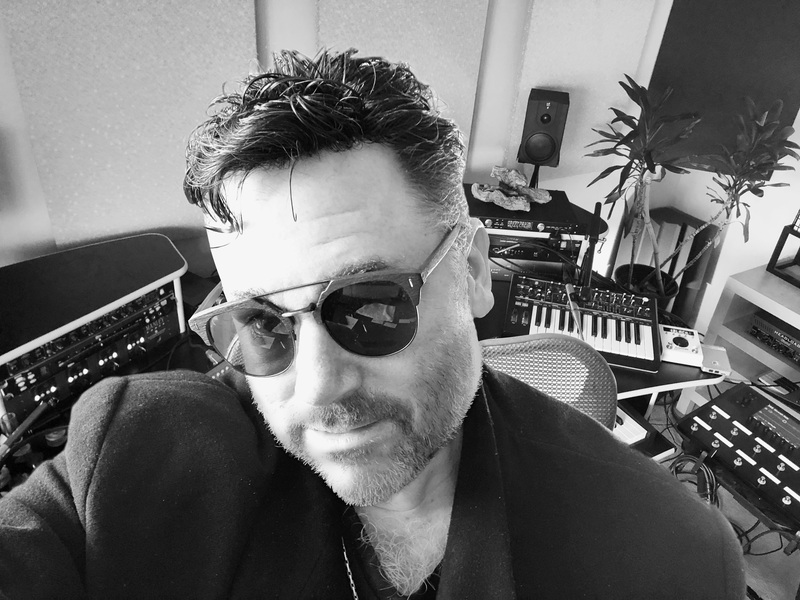 For the first time, consumers could start to hear the depth and breadth of the music coming out of their systems, almost as if they were right there in the studio with the artists. Taking it a step further, Yamaha released the world’s first beryllium diaphragm speaker in 1974: the NS-1000M. The early 1970s brought additional advances in audio reproduction technology. 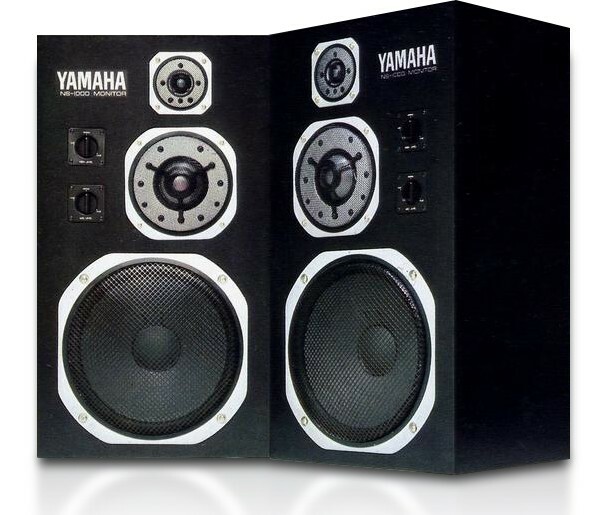 In 1972, Yamaha introduced the 700 Series component stereo systems. These integrated products featured additional input and output capabilities, including a separate phono input for records, AM/FM tuner, tape deck inputs and even a stereo microphone input on the front, allowing for additional uses for home audio, education and even semi-pro applications. At around that time, matched preamplifiers and power amplifiers began to be integrated in a single component — a trend that yielded improved playback quality. Other Hi-Fi components continued to improve as well. In 1976, the Yamaha YP-1000 record player was released. This advanced product featured a direct drive system, a Stax UA-7 advanced tonearm and a precision turntable machined from a single aluminum plate. Even headphones incorporated new technologies. The Yamaha HP-1, also released in 1976, featured a voice coil printed directly on the diaphragm for advanced tonal balance, as well as a streamlined form commissioned from the renowned Italian industrial designer Mario Bellini. Bellini also designed the Yamaha TC-800GL stereo cassette deck, released at around the same time. This innovative design included a front panel that angled down for maximum viewing and could also run on separate batteries or even a car battery, offering portability aspects previously unheard of in Hi-Fi. In the early 80s, technology took a major leap with the introduction of the Compact Disc (CD) player, able to play digital recordings. Once again, Yamaha was ready. The CD-1, released in 1982, featured a slide-out disc loader and had linear 16-bit twin D/A (digital to analog) converters with separate power supplies for the digital and analog elements. Technology marched onwards, and in 1986, the Yamaha CDX-2200 offered the world’s first 18-bit precision D/A conversion system. This was followed by the CDX-2020 in 1988, which provided 22-bit operation and four DAC configuration. Yamaha CD-1 compact disc player. As components increased in not only quality but quantity too, consumer Hi-Fi products had to follow suit. By the 1990s and on into the early 2000s, there were a bewildering variety of tape machines, turntables, CD players, videocassette recorders (VCRs), DVD players, MiniDisc recorders, DAT machines, and a number of additional components such as outboard equalizers and signal processors. The late 90s also brought about the advent of 5.1 surround sound, where separate speakers for left, right, center, left surround and right surround, plus a subwoofer, became necessary add-ons in order to envelop the listener in sound. With all these advances, consumers now could play back movies and live concert videos (and even some studio recordings) in cinematic 5.1 surround, introducing the concept of the “home theater.” There were even “Home Theater in a Box” (HTiB) products that enabled consumers to purchase all-in-one systems that could be easily set up yet provide an enhanced listening experience. Yamaha YHT-4930 Home Theater in a Box. Current products such as the Yamaha CX-A5200 AV (audio/visual) preamplifier and the Yamaha RX-V685 AV receiver offer consumers extraordinary quality and flexibility that make the old days of stereo Hi-Fi seem practically prehistoric. These advanced receivers offer up to 11 channels of surround sound, Bluetooth®, Amazon Alexa voice control compatibility, multi-room listening via MusicCast, built-in music streaming services, and even a phono input for vinyl playback. Yamaha MusicCast VINYL 500 turntable with MusicCast 50 wireless speaker. Speaking of vinyl, this is a playback format that has had a resurgence in the past few years, mainly because it’s one that some people feel sounds better than digital. In addition, many classic recordings have been released on high quality 180 gram vinyl, which is significantly thicker than the traditional 120 or 140 gram releases. Considered “audiophile grade,” these records have helped spur on an upward sales trend that sees no end in sight. 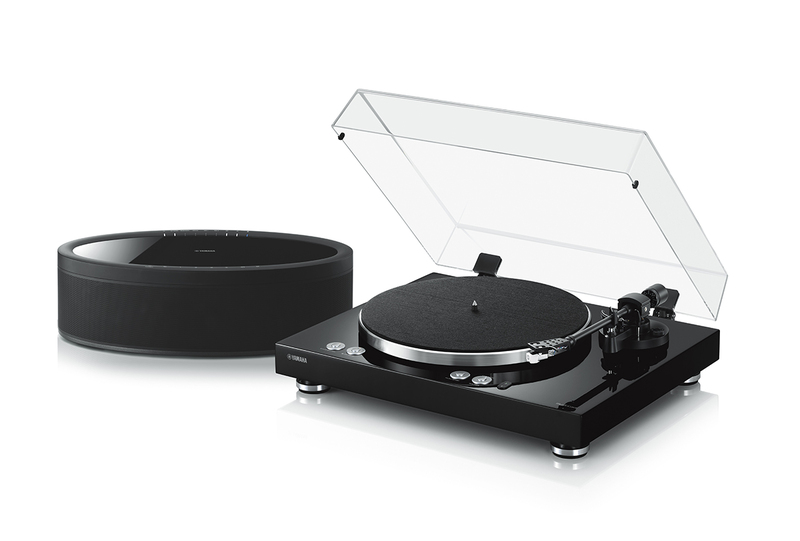 Yamaha still offers a line of turntables for vinyl playback, including the new MusicCast VINYL 500, which allows you to stream playback to wireless speakers in your home such as the Yamaha MusicCast 50 or MusicCast 20. Today, if you want to hear some great music from your favorite artists, listen to a podcast, play the latest video game or check out a wall-shaking, room-pounding surround sound movie, just think about the options you currently have. From home theater AV receivers to sound bars, from turntables to DVD and Bluetooth players, from streaming media to wired or wireless speakers (and subwoofers) or even just a great set of headphones, options abound. Hi-Fi is alive and well, and we can look back to 1954 and reflect on how far we’ve come. But we can also look forward to what’s next, as audio and audiophile technology continues to march on. Click here for more information about the history of Yamaha Hi-Fi. Click here for more information about Yamaha Hi-Fi components. Click here for more information about Yamaha Home Theater systems.